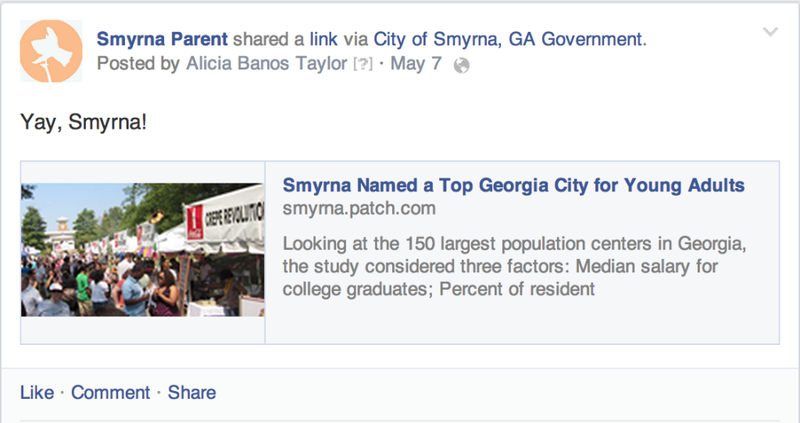 Here’s a quick recap of what happened on Smyrna Parent in May, in case you missed any of it! And we celebrated Smyrna’s recognition as a great spot to live! And, finally, I wanted to announce our newest sponsors. They’re helping us grow and better serve the community, so please check them out! The Music Class – Early childhood music and movement, conveniently located in downtown Smyrna. The Swim Revolution – fun swim lessons and drowning prevention to get your children water-safer and water-smarter. Koru Massage Therapy – Wellness in the heart of Vinings. Massage therapy, wellness coaching, Hypnobabies birthing classes & doula services.